A Welsh local authority set to increase council tax bills has urged First Minister Mark Drakeford to take part in talks about funding. Powys council is set to announce a 9.5% hike in council tax bills next week, according to the Local Democracy Reporting Service. 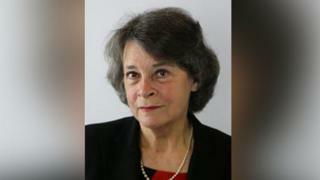 Council leader Rosemarie Harris and her cabinet wrote to Mr Drakeford calling for a "fair deal". The Welsh Government said it had offered the "best settlement" possible. Last October, Powys council - which is the local authority with the largest geographic area in Wales - was told the money it gets from the Welsh Government would reduce by 1% by 2019/20. Mr Drakeford later announced extra-cash for the council - which was one of five with the highest spending reductions. However, with a £14m spending gap to fill, Powys is set to announce further spending cuts, on top of at least 50 job losses. Proposals on the table include closing 10 branch libraries and reducing funding for cultural organisations in the county. In the open letter, council leader Rosemarie Harris wrote: "We are calling on the First Minister to meet with us and agree to fundamental review of the country's funding formula to make sure it is fit for purpose and is fair to every council in Wales." She called for a meeting with Mr Drakeford in Cardiff on Monday. A Welsh Government spokesman said: "We have offered local government the best settlement possible in this ninth year of austerity, mitigating the reduction councils had been expecting." He added the extra money allocated to councils now meant "no local authority faced a reduction of more than 0.3% in its core funding".